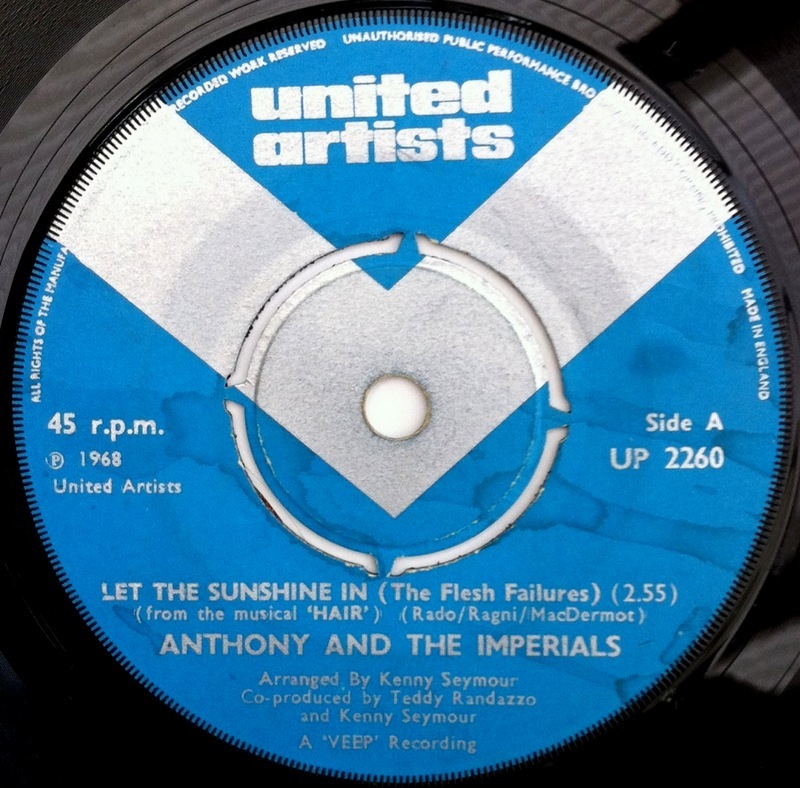 Few can boast a career as long as Little Anthony & The Imperials, forming in the late 50’s as a Doo Wop/R&B combo to being inducted into the Rock & Roll Hall Of Fame in 2009. The 45 that I’ve chosen for today, is their version of “Let The Sunshine In”, which was composed by Galt MacDermot (who wrote the music to the hit musical “Hair”). The vocal on this cover drips with energy & sweat & I think this is my favorite version of this track.